The time of grace sometimes intensifies in the life of a person. 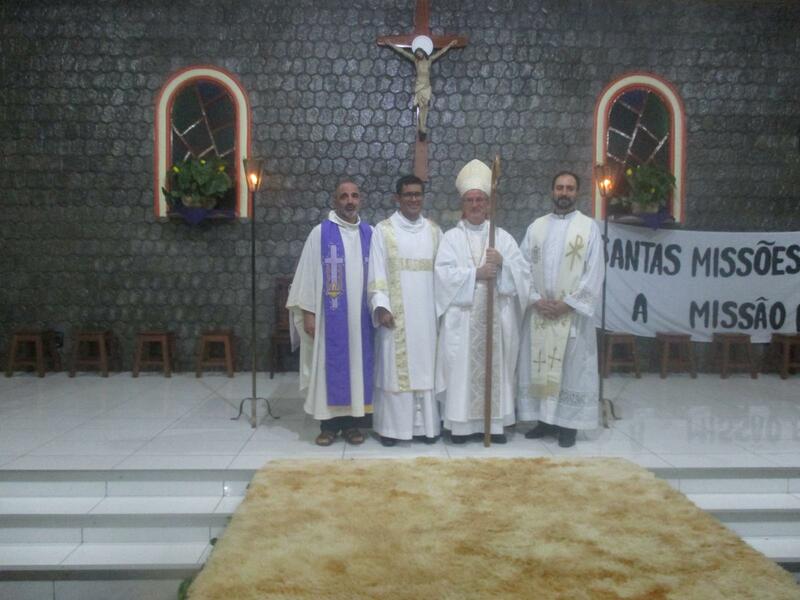 This is Jorge Luis Quiros Oviedo’s case who solemnly professed on October 27th and the 2nd of December received the diaconate ordination in the Brazilian Amazon city of Tapaua by the Prelate Bishop Santiago Sanchez Sebastian. 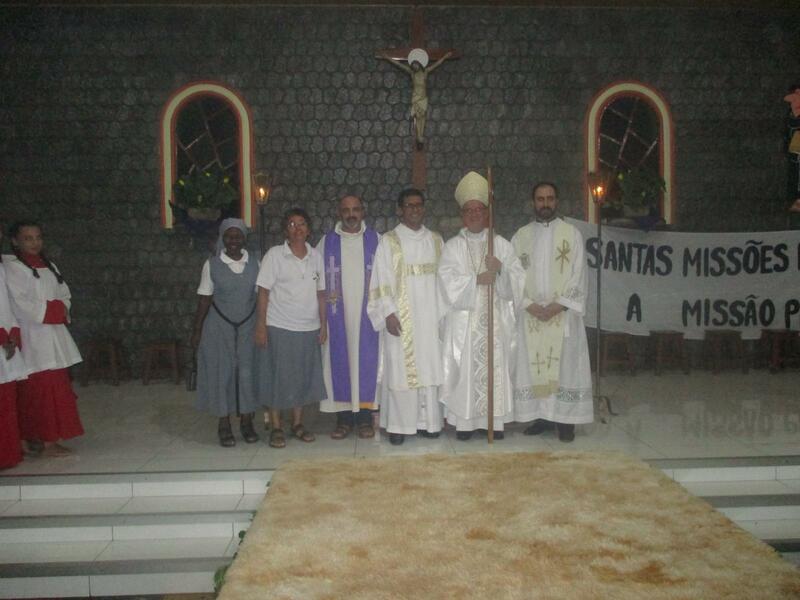 December and Advent barely starting, Jorge became an ordained deacon for the Catholic Church on December 2nd. Everything was prepared the days before: dimissories from Fr. Provincial to the Bishop, acceptance protocols, printed and electronic invitations, practice and the candidate’s personal spiritual retreat of preparation. Even though it’s the rainy season in the tropical Amazon, the weather gave everyone a chance to make it a massive event. Friends, parishioners and curious all gathered in something they had not seen before; many had no idea of what a deacon is and least how the ceremony goes. A little after 7:30 pm and after the welcoming, the entrance procession started with incense, processional cross, candles, altar servers, lectors, extraordinary eucharistic ministers, book of Gospels, the candidate to be ordained, priests and bishop. 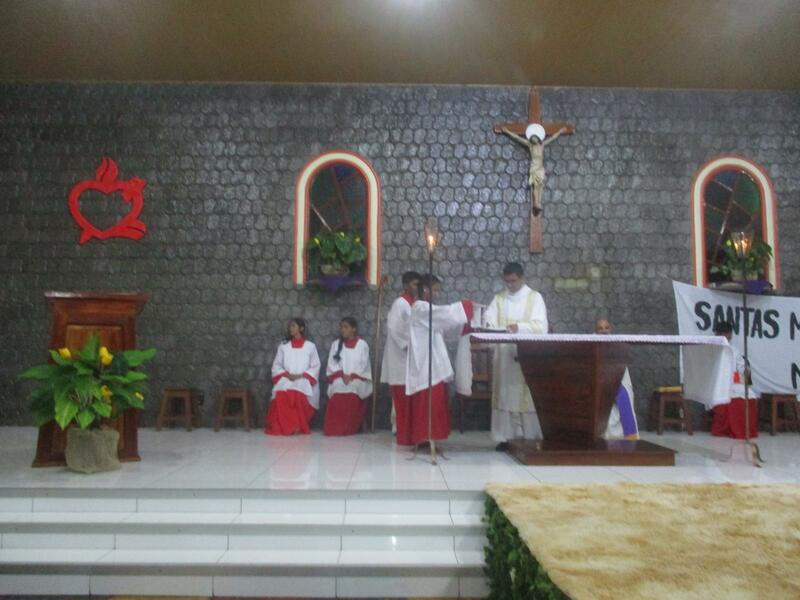 The rite of ordination officially initiated with Fr. 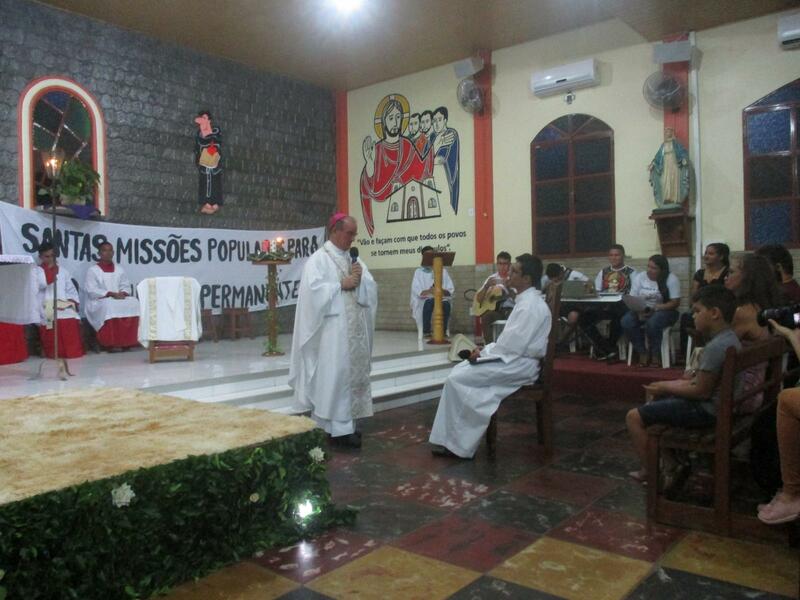 Antonio Fernandez Aguado, pastor and prior of the community, presenting the candidate. 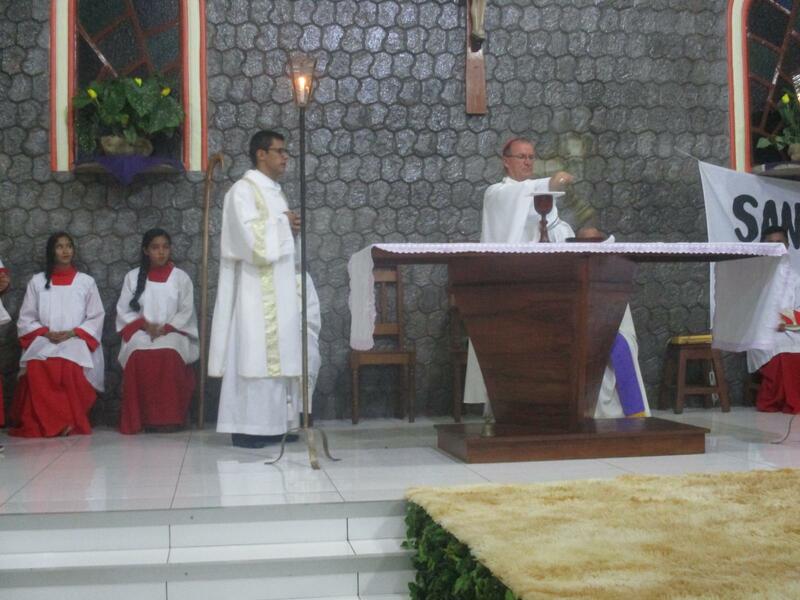 The homily followed the examination of the candidate and the promise obedience to the Bishop. 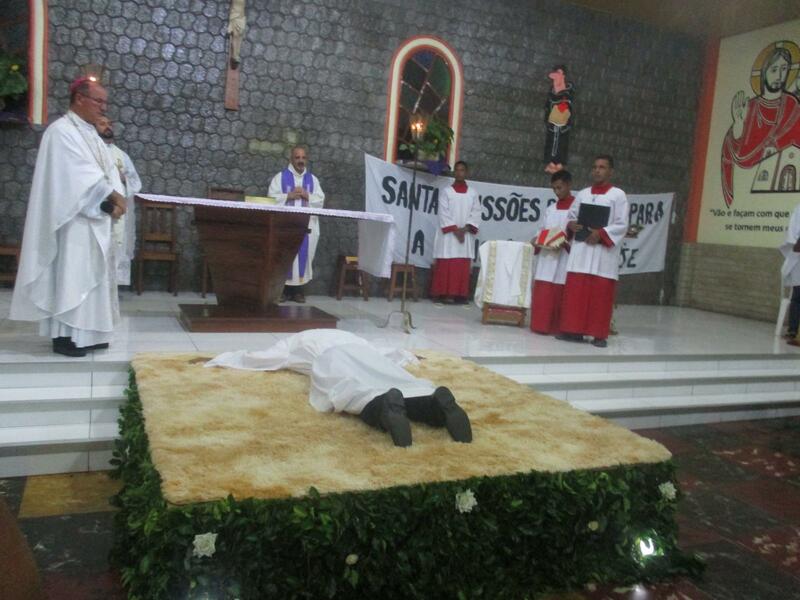 The litany of the saints was solemnly sung while Jorge laid face down. Then came the peak of the ceremony with the laying of hands. Fr. 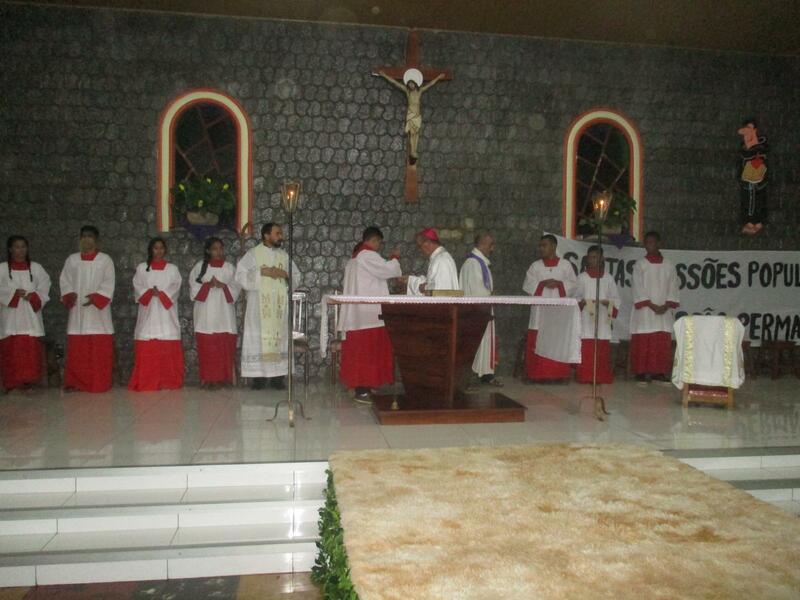 Luis Antonio Fernandez and Juan Jose Guzman helped Jorge for the investiture of the stole and dalmatic. The book of Gospels was presented to the newly ordained deacon and then the hug or embrace as a sign of admittance to the rank of coworker with the bishop and priests. 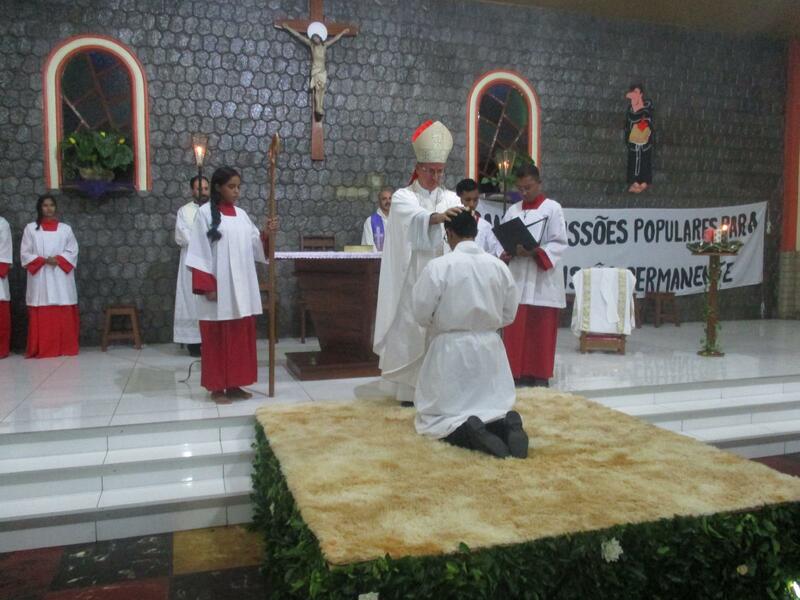 The assembly applauded when Jorge walked to the altar to assist at the altar for the liturgy of the Eucharist. 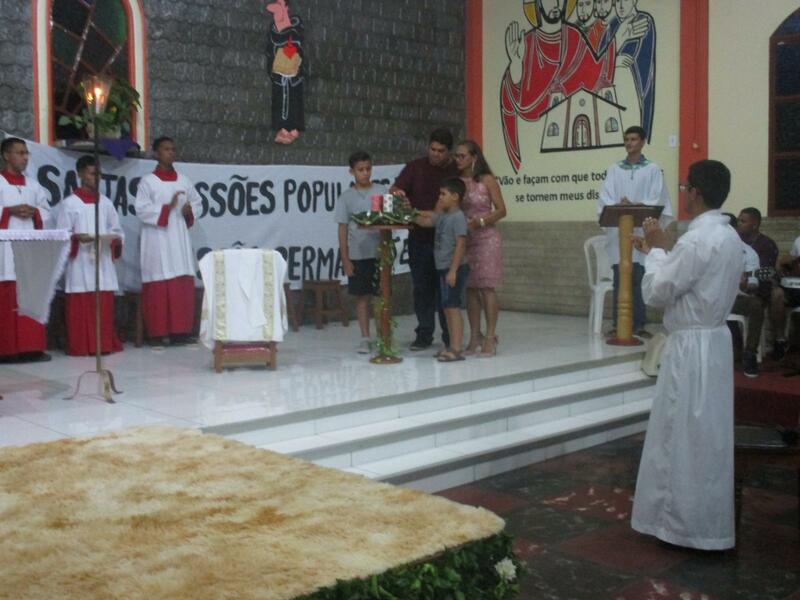 Jorge started to do his functions as a deacon as he prepared the altar, invited all to offer a sign of peace, helped in giving Holy Communion and giving the dismissal. Jorge has been working in Tapaua for some time, this is his first assignment, so it was necessary that he shared some words with the faithful: He thanked God, his family, the Order of Augustinian Recollects, and the parishioners of Tapaua who have been so welcoming to him. A parishioner congratulated Jorge on behalf of all the community. The obligatory photo session followed with the bishop and friars, with the Oblate Sisters of the Assumption, the liturgical ministry members and many more. 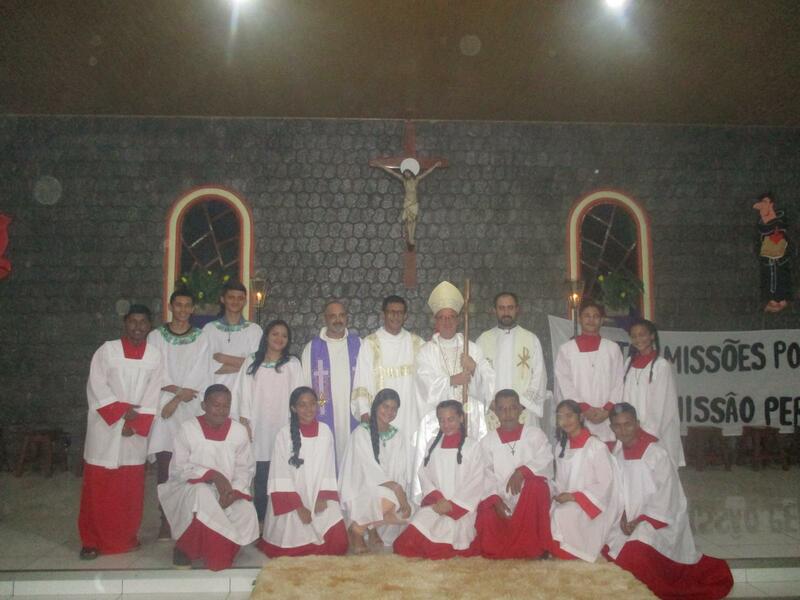 It was a simple celebration but of great significance for the people of God. Pizza was shared at the rectory with the friars for dinner. We thank God for the vocation of our brothers to continue in the construction of His Kingdom.